1,080 or 2,160 Swatches! Choose below. 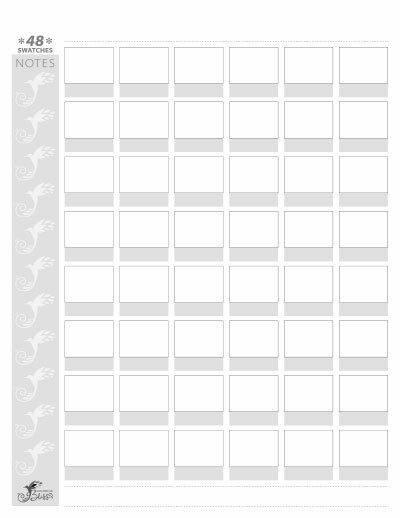 “Double Your Swatches” Bonus–select this bonus below to get 2,160 swatches on 60 pages! 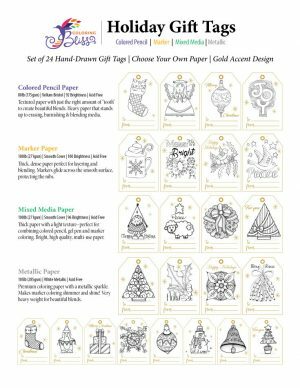 Choose Your Paper–select the paper below that you want to swatch on. 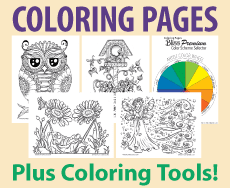 Add-Ons–choose from several add-ons to enhance your swatch book. 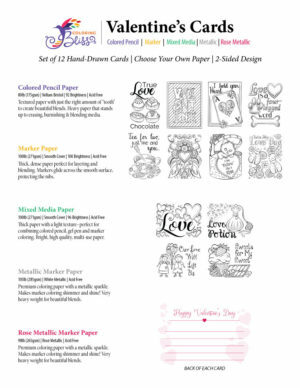 Choose the paper that best fits the media you will be coloring with. If you’re unsure, I recommend the Paper Sampler or Mixed-Media. Double the number of swatches in your book! This also doubles the number of pages from 30 to 60. 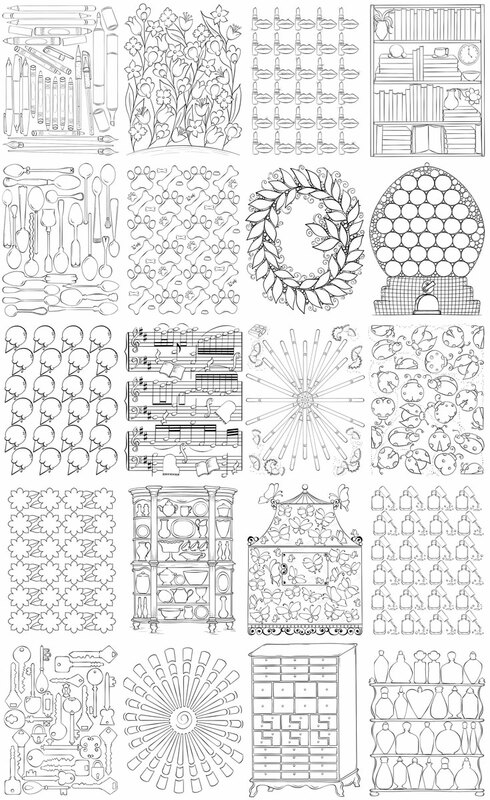 Volume 2: 1,080 or 2,160 Swatches! I love to swatch my art tools! 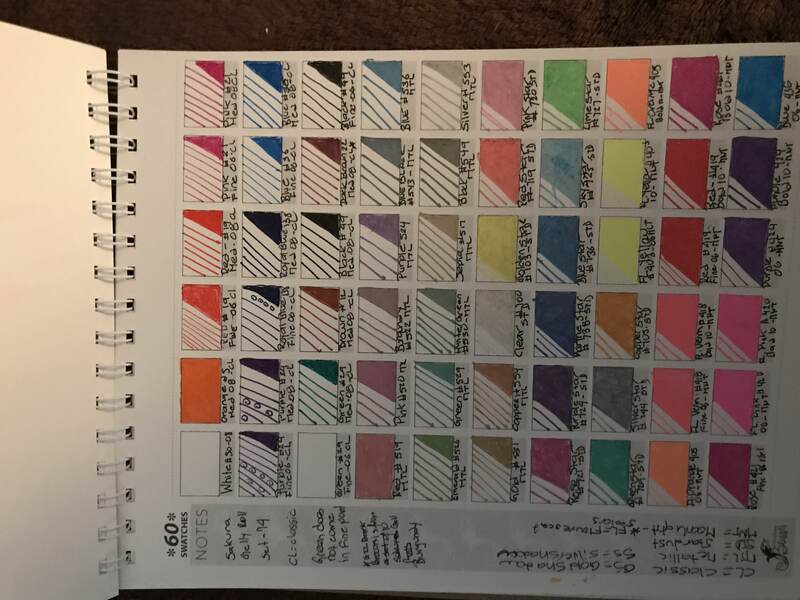 Beyond the practical sides of swatching (cataloging a set of coloring tools, seeing what their colors are, testing the limits of the tools, getting to know how the tools perform, etc.) I love seeing the beautiful colors neatly displayed in front of me like a menu of possibilities. Swatching inspires me, relaxes me, and it has become one of my favorite artistic pastimes. Swatch Bliss is a place for you to discover the joys of swatching. 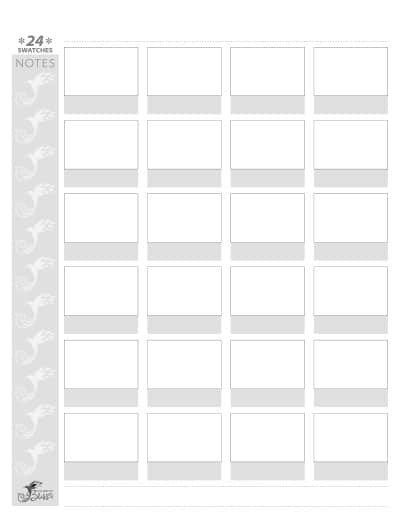 Every swatch page has been thoughtfully designed by me to give you plenty of space to record all the important information about each of your art tools: brand, set, color name, color number, date, and miscellaneous notes. Write it all down or just those things that are important to you. 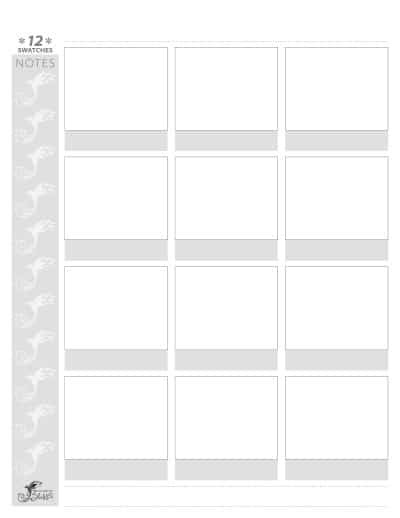 I have also given you a generous swatching square with room to try a gradient, different line pressures, doodles, or even smears…try it all!!! Swatch Bliss comes in multiple volumes to fit multiple needs. No matter which Swatch Bliss volume you choose you can be sure that it will be printed on my favorite artist quality papers (you choose from available options at the time of your order.) 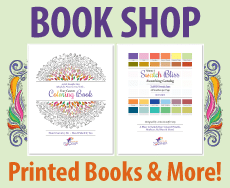 The books are carefully bound and ready for your to fill with all your beautiful colors. 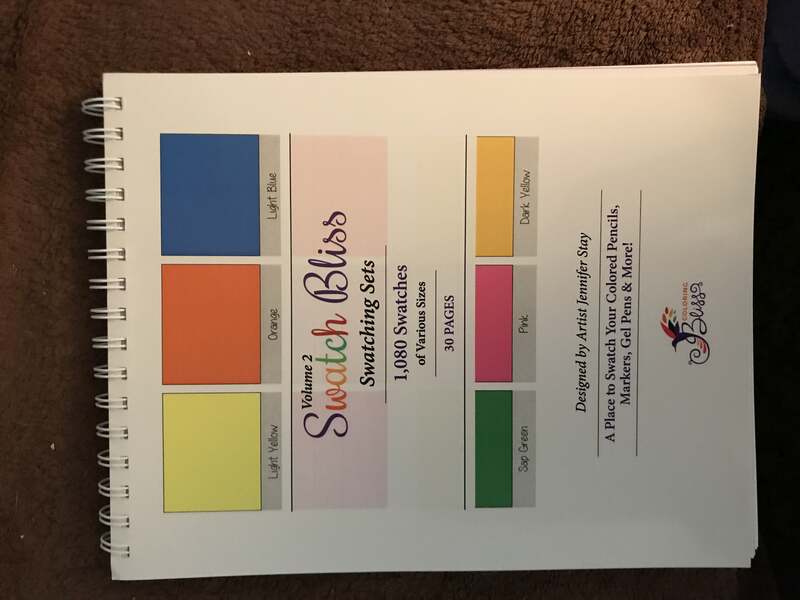 Volume 1: Swatching Catalog where you can color over 3,000 swatches, 60 swatches per page, on three different types of paper! Volume 2: Swatching Sets where the pages have swatches grouped into sets of 12, 24, 36, and 72. Over 2,000 swatches total. This book is perfect for swatching sets of tools that you want displayed individually. Volume 3: Swatching Fun book which features my hand drawn art. 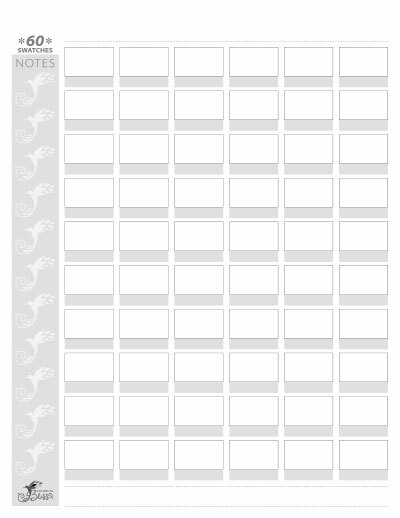 Each page can swatch a variety of colors, plus you still have room to write down all the important color and set details. 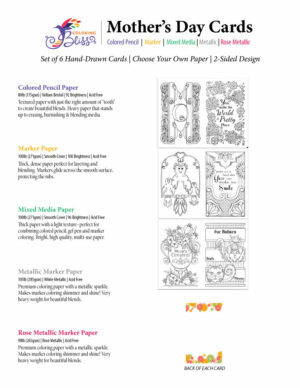 Volume 4: Digital Version is a digital combination of Volumes 2 and 3 (27 swatching charts & pages total) in a PDF download that you can print on your own printer with your own paper. Thick artist quality paper selected & tested by Jennifer. Heavy chipboard back to protect your paper and add rigidity. I use my art as a “blissful” way to cope with daily chronic pain (no one’s life is perfect). One of my favorite ways to help me cope with high pain days, or days that I’m feeling extra stress, anxiety, or depression is to swatch. Do you ever feel that urge to create but you just don’t feel up to working on a full piece of art? Me too! Sometimes, I will find a blank piece of paper or open a sketch book and grab my favorite art tools and just lose myself in swatching each of those beautiful colors. It is such a relaxing way to lay down colors and enjoy how the tools perform without the pressure of creating a masterpiece. I highly recommend you give this a try next time you feel that urge to create on a hard day. It is so blissful and therapeutic. I ordered Volume 2, unbound. I like to store my swatches in page protectors, this works better for me, so I’m glad they offer this option. I can store the unused ones until I need them and that makes space saving easier for my small craft area. I bought the volume 2, Swatching Sets, because I liked the idea of having all my swatches (pencil, marker, gel pens, etc) in one place. Shipment was prompt and product was well packed. I started Swatching some of my marker and gel pen sets, the paper is great. 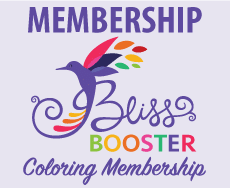 The top bounding is awesome and doesn’t get in the way. 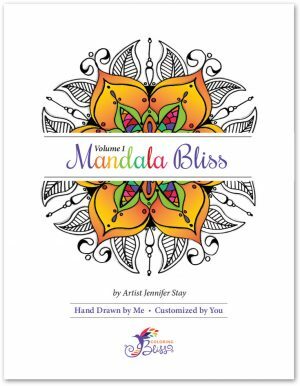 I received a quick response to a question when I was placing the order and they followed up,to,make sure I received the books and I was satisfied. Get the Swatching books you won’t regret it! 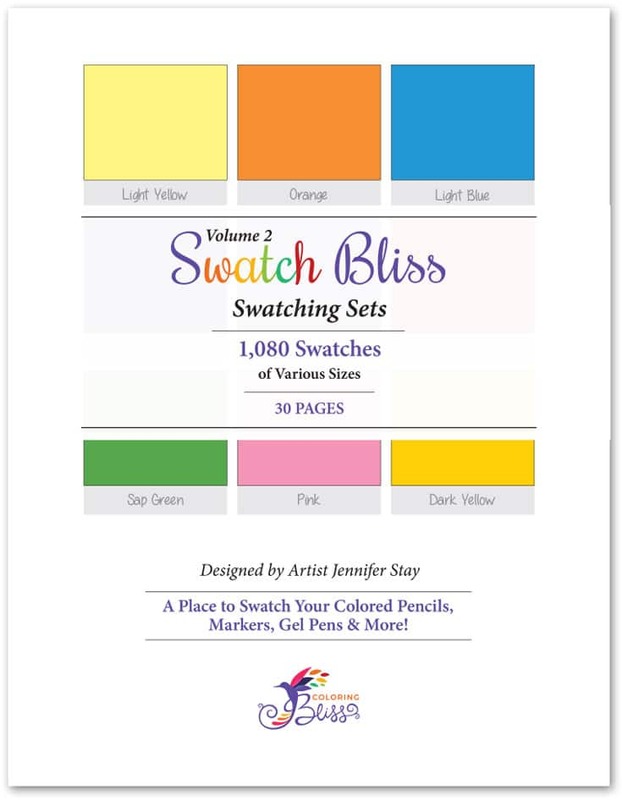 I love this book, I like having all my swatches in one place instead of having to pull out individual swatch sheets, it is great! I finally got to use it. (It was a Christmas present) So far, I swatched alcohol markers, water soluble crayons and watercolors. I think the paper worked very well for everything, except the watercolors. They swatched OK, but not the same as they would on watercolor paper. It would be cool to have one with watercolor paper.